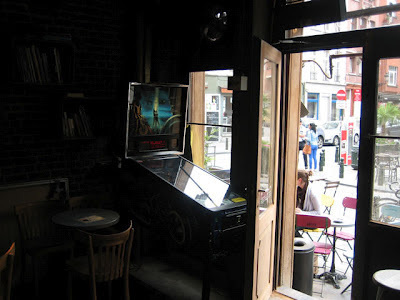 On my first day in Brussels, my gracious host Max de Radiguès led me to a café/bar called "Zebra" where he had played pinball before. 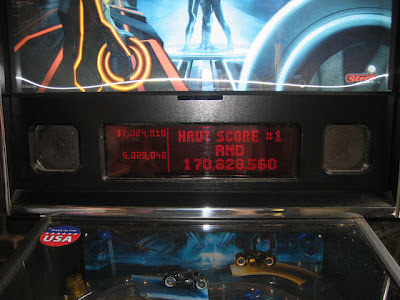 He said there was a fair amount of turnover at this location and when we walked in, there was a Tron machine. It was filthy but it still played great. I'm not going to lie, I got a pretty big kick out of seeing the pricing card and dot matrix text in French! Max put in a 2 euro coin, which gave us 4 credits, and we played for a while. Then I put in another 2 euros and we started to get warmed up. I got a replay, and then later had my best ever game of Tron (68 million, I think?). The next day we were heading off to Bruges, so on a whim, I thought I'd search to see if I could find any pinball there. Google lead me to FindAPinball.com, a site which I had never heard of. I looked through its dropdown menu of cities and found places all over Europe, but not the USA. 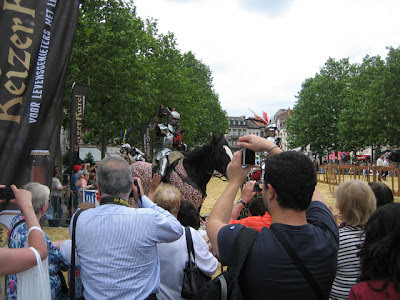 I went to the about page and found that the creator of the site, Colin, was in fact, from Brussels! 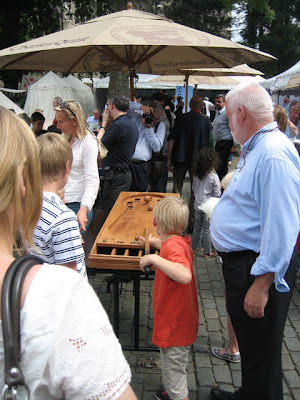 Anyway, Bruges was a bust, as was Amsterdam a few days later (only in terms of pinball! everything else about these cities was totally amazing). But a day or two before I left, Max used FindAPinball.com to locate some more machines, which we drove to using his brother's car. At a go-kart racing place on the edge of town we found an NBA machine which worked well and a Big Buck Hunter that was broken. We played NBA for a while, which I got the hang of pretty quickly (another replay, but alas no "Haut Score"). 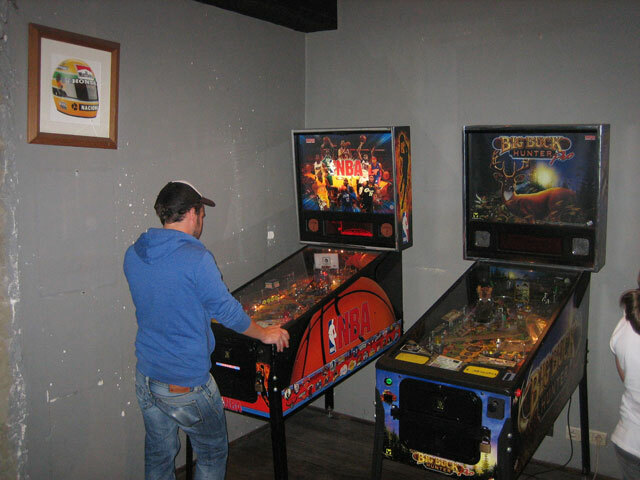 Every time we walked by a bar, my inner pinball alert went off - PINBALL! 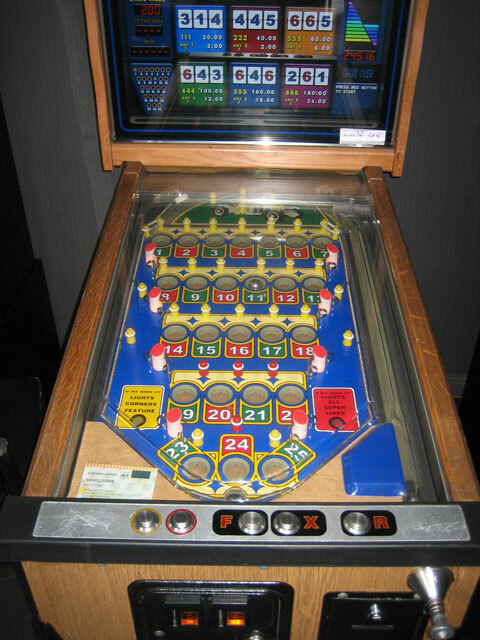 But no, Max told me, these were just shaped like pinball machines, they were not pinball at all. Check it out, they don't even have flippers! Old school, right? 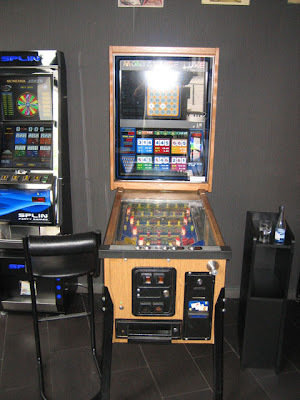 I didn't play, because I learned years ago that I don't do well with gambling. 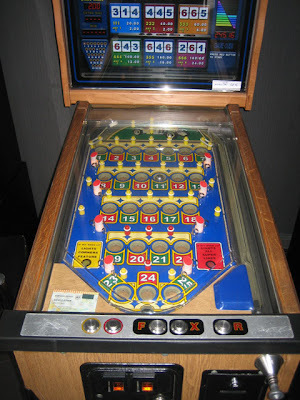 But basically, you pick your numbers on the screen in the backbox and then launch your balls and try to nudge them into the appropriate holes. This seemed so crazy to me! In America, we have spent years and years trying to distance ourselves from pinball's gambling past, but in Europe (or at least in Belgium) that past is thriving! Max said that every bar had one of these machines and that there was usually an old drunk, plunking his last few Euros into these machines, in the hopes of winning enough money to buy himself another drink. We even walked by while one was spitting out coins for a winner (the highest award possible is 20 euros). Anyways, thanks for Max for taking me all over the city to find some pinball. I can now proudly say that I have played pinball on another continent! Thanks too to Colin for his great site. 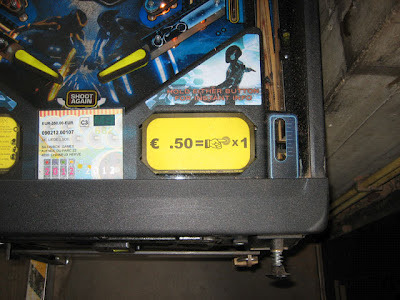 If you are playing pinball in Europe, you should set up an account so you can add new locations and update others. I'll add a link to our sidebar. On an unrelated side note, I have a new pinball comic up over on the Stern blog, about something funny that happened to Jon and me before I left on my trip!